Olivia Eliasson first rose to prominence by posting a cover of Anton Ewald's Melodifestivalen 2013 entry "Begging" on YouTube. Things came full circle when she got her own opportunity to compete in Melodifestivalen. 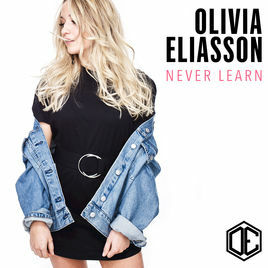 Her entry "Never Learn" was co-wrriten by Anton Ewald himself and offers a catchy 1990's-influenced dance-pop chorus. While the song is an excellent pop song and Olivia sang it well enough, the main negative is that the dancers show more showmanship compared to Olivia's smaller contribution to the showmanship.